40 years ago, KTM won its first motocross World Championship and Imerio Testori became the first European Enduro Champion on KTM. Beside this sensational sporting successes there were other record-breaking news from Mattighofen: the 1974 spring brochure offered no less than 43 different models, from mopeds to 500cc motocross bikes. 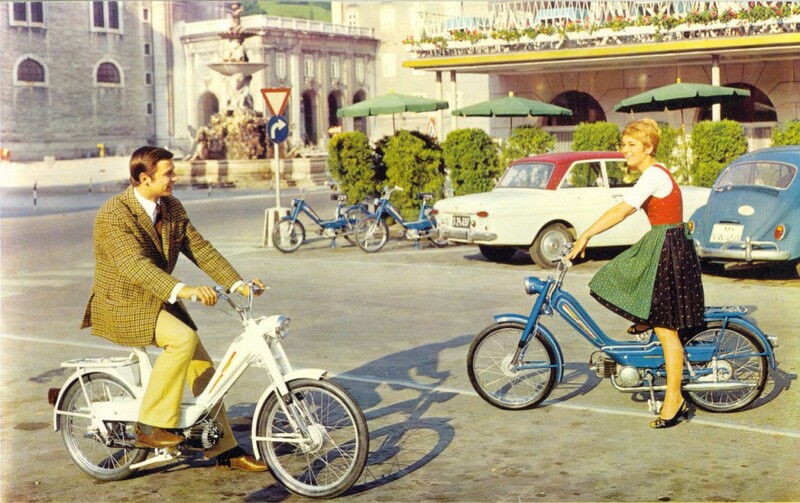 One of the various novelties was the Hobby III, a moped that many Austrian young people gained their first motorized experiences on. The “III” emphasizes, that the Hobby model was a long burner. As there is a model called “III”, there must have already been an original version and a Hobby II. Reason enough to take a closer look and browse through the old sales brochures. 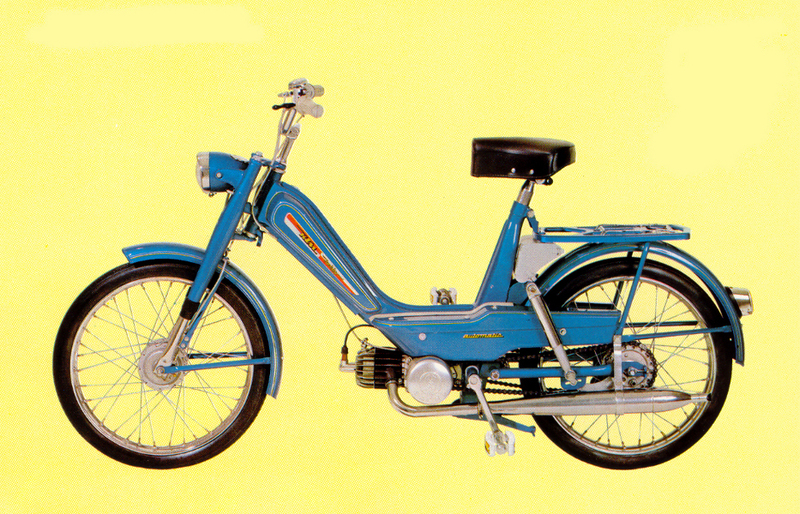 We make a find in 1968, the year in which the Hobby appeared for the first time – as an automatic model. It was not an automatic gearshift – the Hobby had only one gear – but the centrifugal clutch, which rendered the annoying drawing at the clutch lever unnecessary. Basically the automatic worked like an electromotor. From standstill to the top speed of 25 km/h everything was regulated on the throttle lever. The frame was made from pressed sheet steel and a hard tail, at that time the standard at many manufacturers. In addition to the cushioned seat, the Hobby was also available with a spring-loaded long swing arm for all those, who attached great importance to comfort. 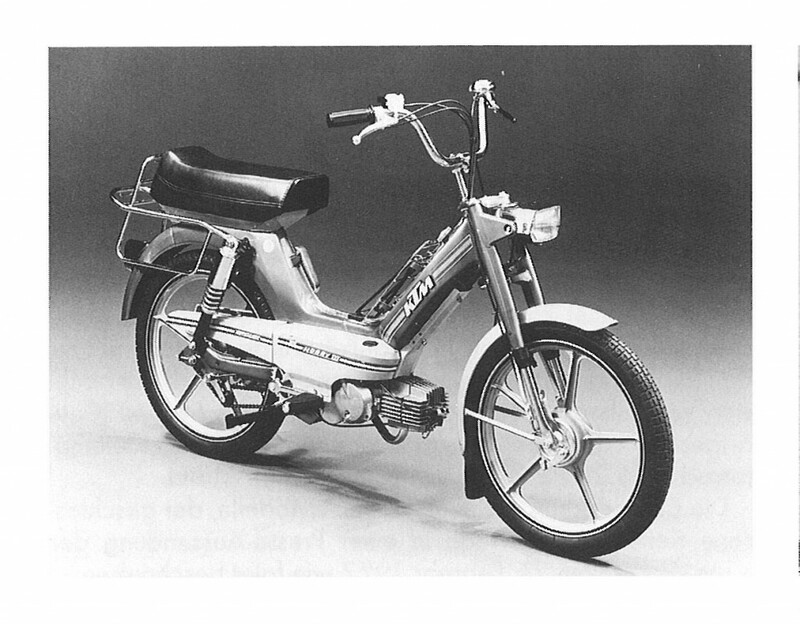 The trusted Fichtel & Sachs 50cc engine with 2hp, that was also first choice at many competitor´s bikes, secured the best drive of the moped that could even be ridden without a driver´s licence. In addition to the “Mofa 25” that could also be ridden without a driver´s licence, KTM offers a 40 km/h moped. 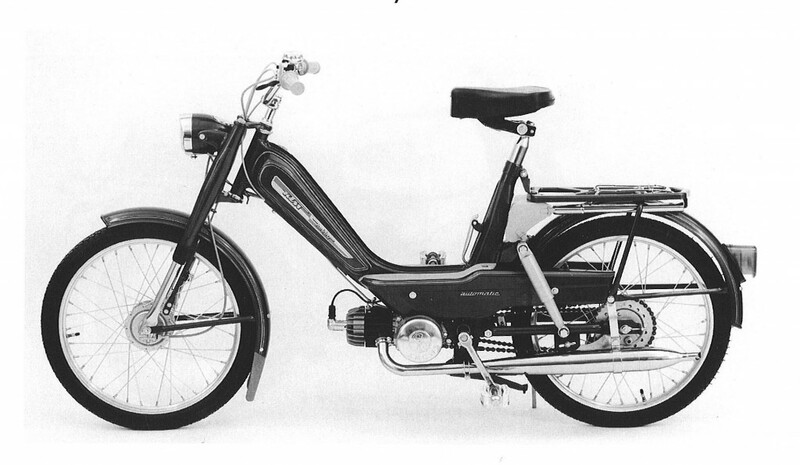 Within short time, the Hobby became a success story, which remained within the KTM programme as a low-cost beginner´s bike, although the Hobby II, a more sophisticated version with Puch engine was presented in 1970. The engine build in Graz was considered for the Austrian in-country models and with 2,2hp and one speed gearbox it was similar to the old-fashioned looking Sachs engine. 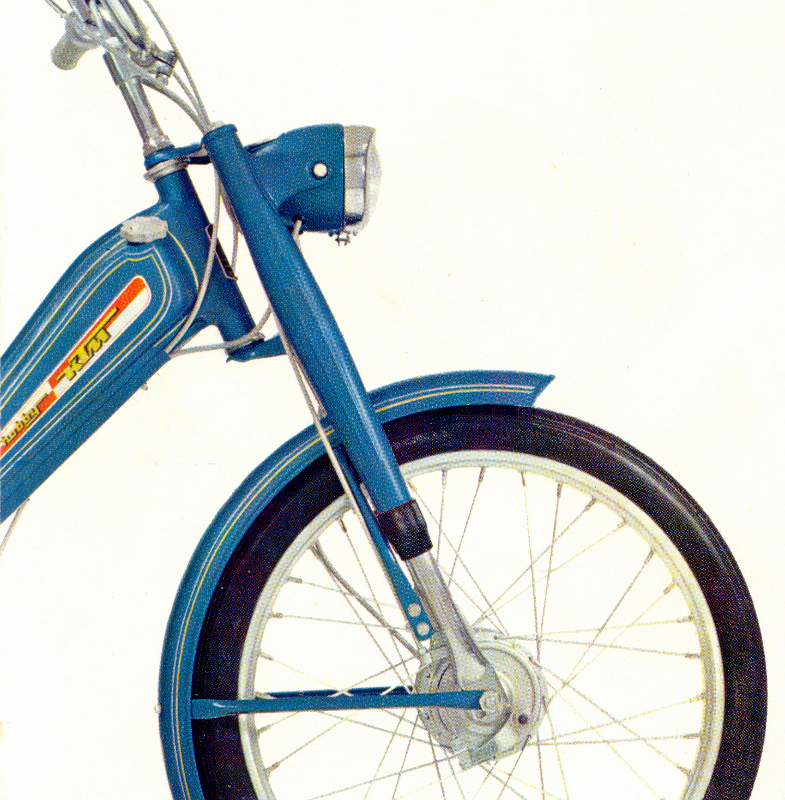 While the red-silver de luxe model was equipped with a legshield as protection against the weather, the standard bike was recognizable on the blue-silver varnish. 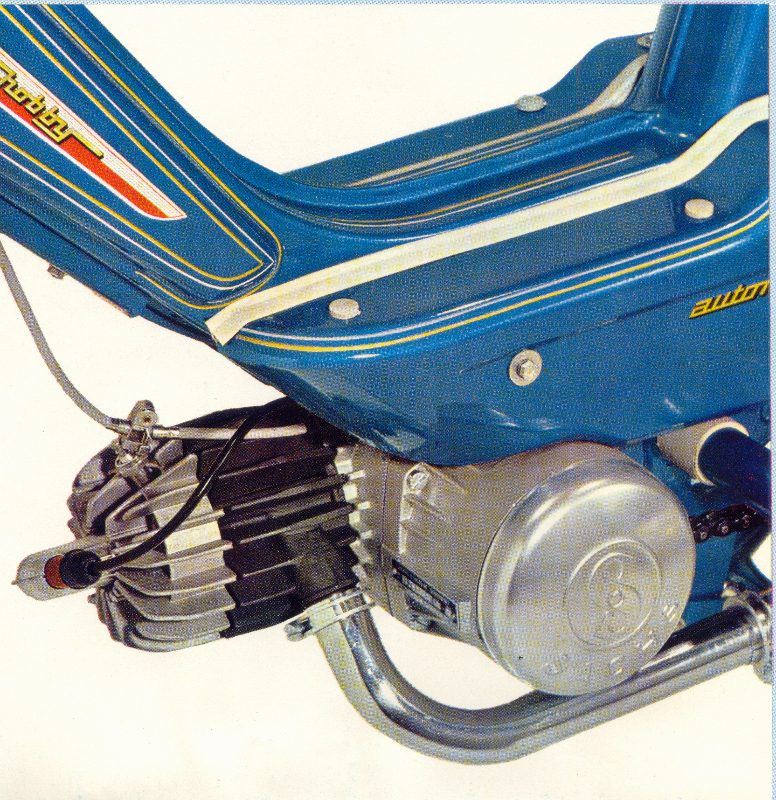 40 years ago, in 1974, the heavily reworked Hobby III could be gazed at in the shop windows. Larger tires and a deeper step-through between tank and saddle ensured more comfort what was above all welcomed by the female customers. 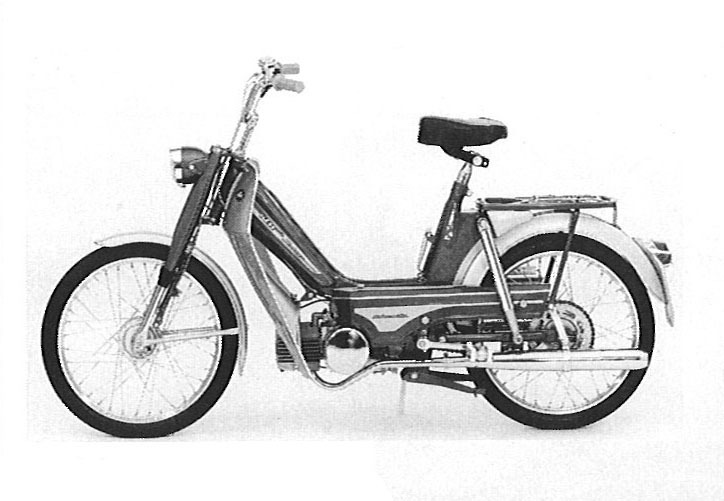 In addition, there was a model with a manually shifted two-gear Puch engine. Equipped with a big carrier, lots of chrome and even with blinkers the Hobby III seems almost luxurious. 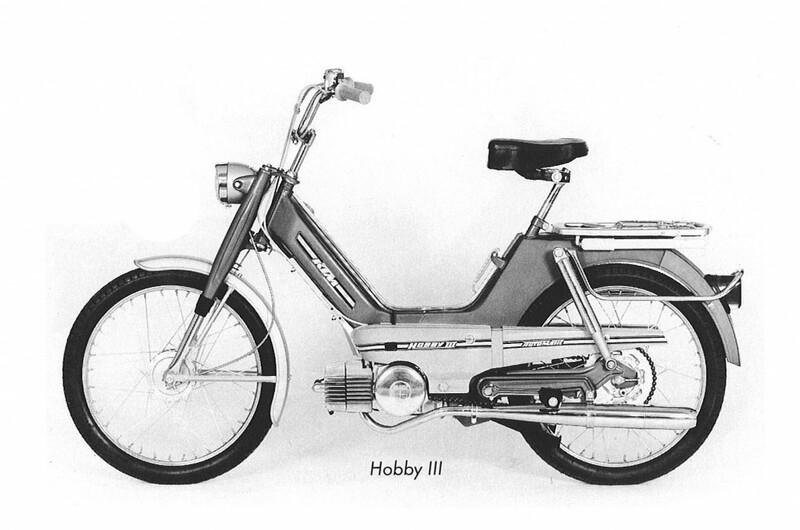 In 1977, the Hobby L, a new two-seater model was presented, which was equipped with sporting cast wheels made from magnesium and a carrier with suitcase mountings. In the 80s, the Hobby got many KTM siblings: “Okay”, “Duo”, Quattro”, “Pony” and “Foxi”, but the reliable and sturdy model remains in the programme. Lately, as Hobby A with KTM engine and as the two-seater model “L” with the well-known Puch engine. The Hobby is only one of many KTM success stories. There is no doubt that KTM had offered best quality with its Hobby model. Even today, more than 40 years after the sales launch, one can find approximately 30 Hobby models offered at an Austrian internet portal, partly in very good condition. Here the advertising slogan of a KTM brochure from 1986 can be confirmed: “KTM – sturdy, reliable, inexpensive”. What is a Ktm Hobbie 3 worth? There is no general answer, because the vehicle´s value depends much on its condition. tending to appropriate and play with small objects for hours on end — not to mention titter and squee at their owners and each other incessantly. They come in brown, black, white, or mixed fur with some having a “raccoon like” mask around their eyes.